Azzule provides solutions for anyone along the supply chain with reporting, information management, and compliance challenges. Whether you need to get your own operation in compliance with your buyer or you need to get a thousand suppliers on board with your new FSVP program, Azzule has powerful, yet affordable, solutions for you. 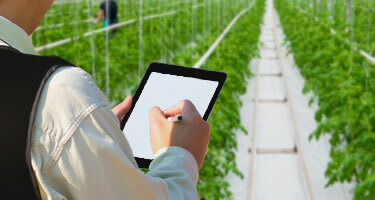 Azzule’s Supply Chain solution provides growers & shippers with their own inexpensive sites for submitting, transferring & retrieving food safety data. Azzule’s Buyer sites help major retailers track all their suppliers’ food safety data, analyze trends, and manage by exception. Azzule’s FSVP, Preventive Controls Modules & Compliance grids take the guesswork out of importing & exporting decisions. Food service & logistics companies occupy a unique place in the supply chain as both buyers and sellers. Azzule’s solution is a site to submit, transfer & retrieve data. Azzule’s reach to the divergent ends of the supply chain – major buyers & 1000s of suppliers – offers opportunities for middle of the chain entities to connect to suppliers & customers. 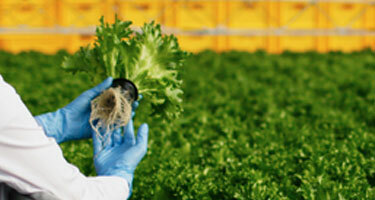 With 1000s of suppliers, major restaurant chains are challenged monitoring their food safety. Buyer sites help them to manage those suppliers by exception, saving time & money. All of our clients determine our priorities for development, while our most engaged clients drive us to innovate and meet serious supply chain management, integration, and compliance challenges. We'd love your eyes and ears on all of our new developments so that you can participate and help to shape services provided by not only us, but our platform partners as well. Azzule’s Laboratory Information Management System and its granular lab results are available to interested third party food safety labs. Azzule conducts in-depth training on its PrimusGFS scheme for CBs, auditors, and auditees alike & we’re willing to develop program content for suppliers of major buying groups. Azzule seeks to partner with qualified CBs to perform its assorted audit schemes – PrimusGFS, Primus Standard, & its Sustainability and Social Welfare Standards. 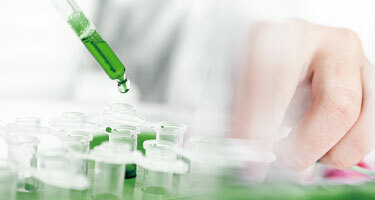 Azzule’s food scientists and analysts work with numerous food safety experts, offering analytical reports, facility reviews, and risk assessments to assist any and all operations. Cooperating with CBs’ audit scheme managers on the submission of their audits using the Azzule Auditing Software, we help to expand the availability of granular audit data. The Azzule API allows programs and services our clients use most to be integrated for ultimate usability across platforms.